Red is the color of cherries, too. I like red, don’t you? Red color symbolizes enthusiasm, energy and primal life forces. 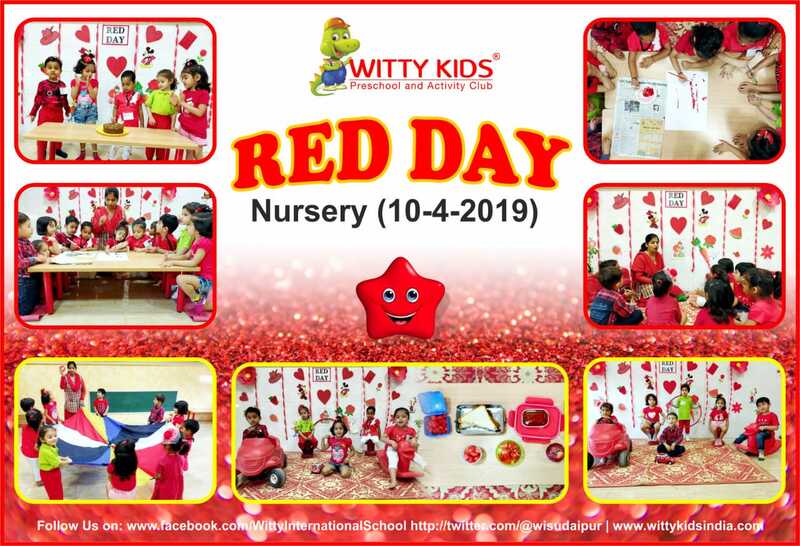 On Wednesday, April 10, 2019 little Wittians of Nursery section celebrated Red Day at Witty International School, Udaipur. The class was spruced up with different red colored objects and placards. 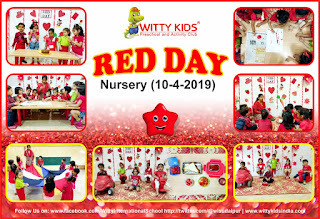 A day dedicated to the red color was marked with children and teachers dressed in different attire and demeanour of red. Children were encouraged by the teachers to identify red color with the help of the objects and toys brought by them. The day was followed by the fun-loving activity of easel art painting which hyped-up the imagination of our tiny tots. It was a blithesome day for the little ones which filled them with energy as red is the color of the one.